With everyone posting first day pictures, I thought I would instead show people that inspire me! Ah… The laughs we had while we worked together. Ladies & Gents, teaching is about the students but it is your colleagues that support your dreams. 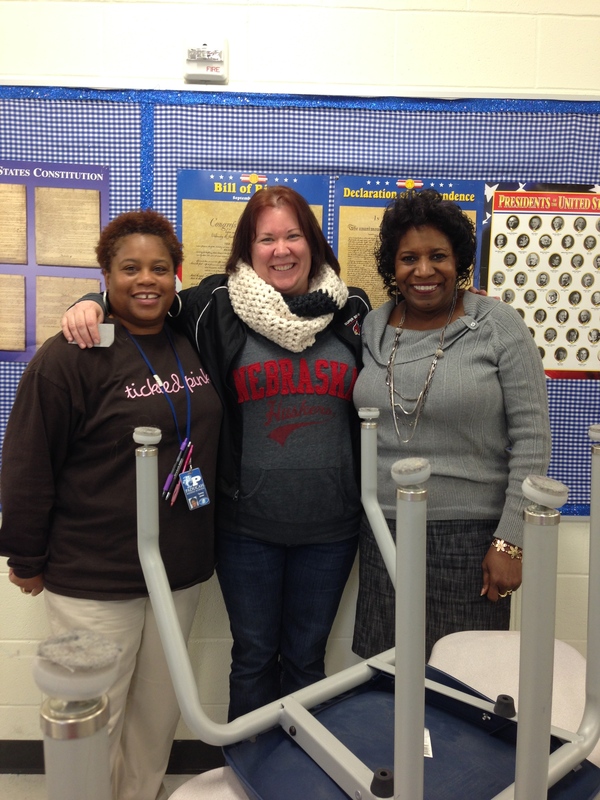 I wouldn’t be here at UNL without these two ladies and many more that walked the halls of PMS. Life was never dull there! Now the semester begins with a new group of teachers. 🙂 You are our present and future of teaching. Look at the ladies above, they have been in the schools for 20+ years (Mrs. Hurt even more) and they are still smiling. And can I say they look young! Aspire to be like these ladies continuing to have high expectations for their students like they did on the day they started. We believe in you! Your future students believe in you! Bring it! This entry was posted in ElemenTS, Teaching. Bookmark the permalink.